These are some of the history-related projects I have done to help support my classroom teaching. Forgive the "I did this and I did that" tone of this list. If there's an idea here you like, take it. (I've certainly done my share of borrowing). And if one of these ideas leads to another, so much the better. 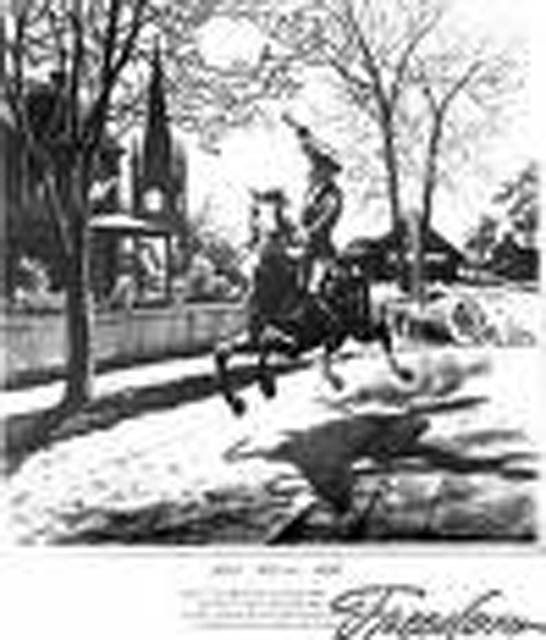 For my Master's degree, I did a project exploring how songs might be integrated into the teaching of American history. 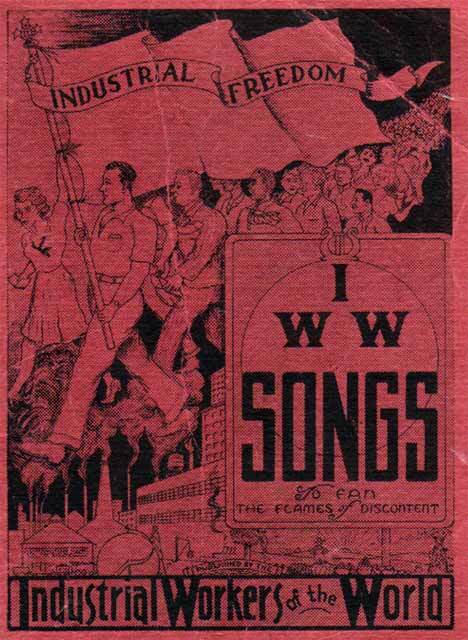 The songs, culled from the labor movement, political campaigns, the Roaring Twenties, the Great Depression, WWII, Rock & Roll, and the popular movements of the 60's, would became an integral part of my classroom teaching. Singing songs provides a way for students to bond, to have some fun, and to experience the history they are studying. 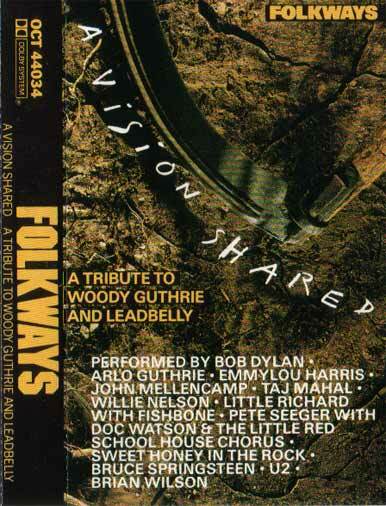 Music expresses so much about the sensibility of a period, the gestalt that rarely makes it into texts or timelines. Emma Goldman put it best: "Unless you feel a thing, you can never guess its meaning." 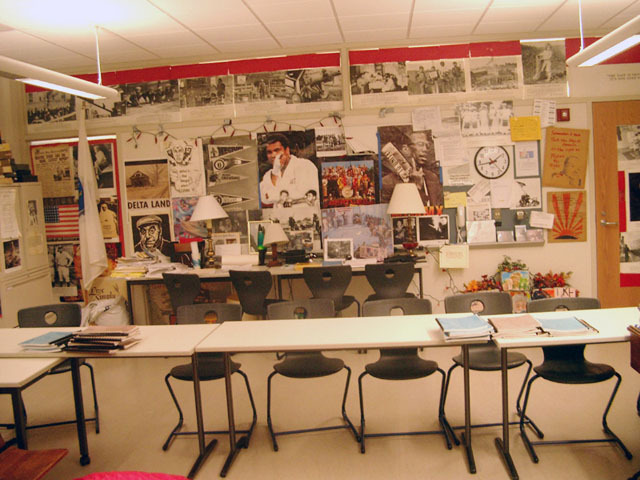 I always wanted my students to feel immersed and surrounded by history, so that they, as someone once said, could feel its pressure on their pulses. 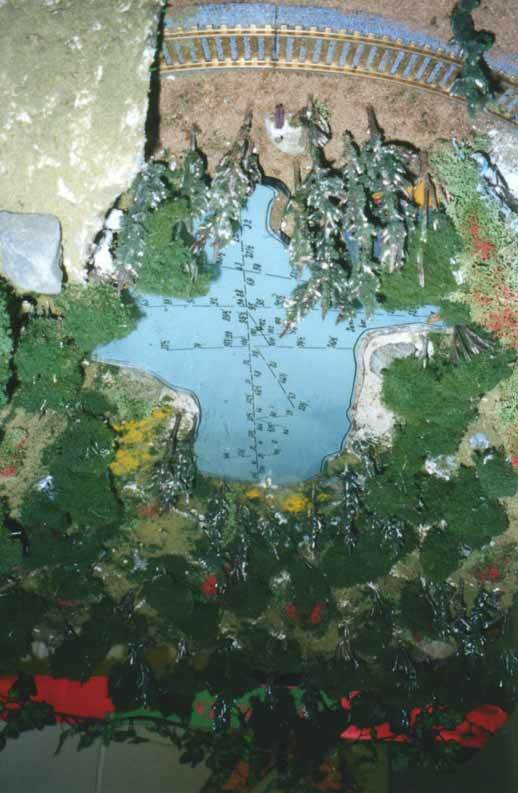 In the mid-1980's, a mural movement began at L-S. The murals celebrated the turbulent 60's, the struggle for women's right, a school walkout protesting racism, and the love of books. 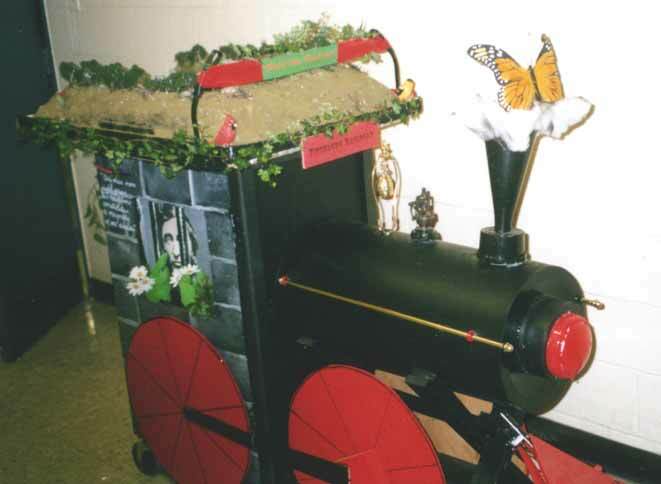 History surged through the hallways with paint a-flyin'. 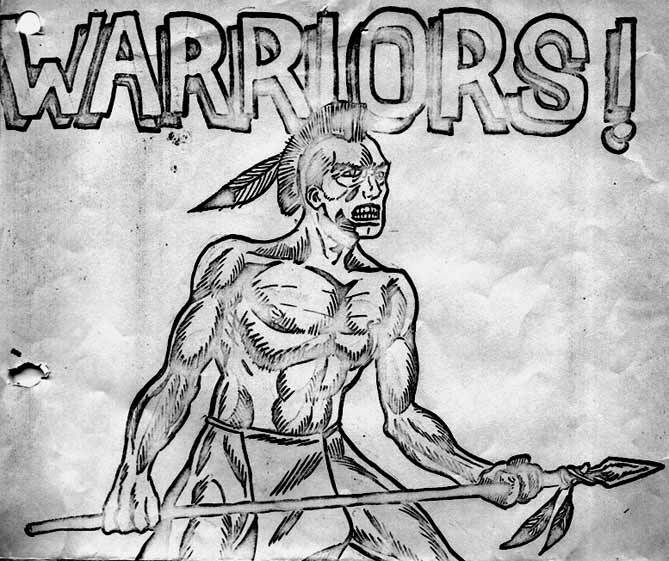 The mural projects inspired intense passion and commitment on the part of the student artists. 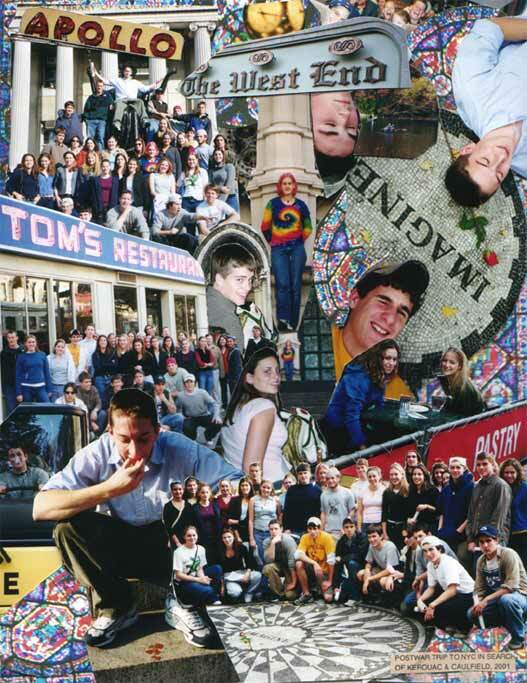 Some murals took years to finish, with students returning from college to complete them. What I liked best of all is that the murals were well-done and had points-of-view. 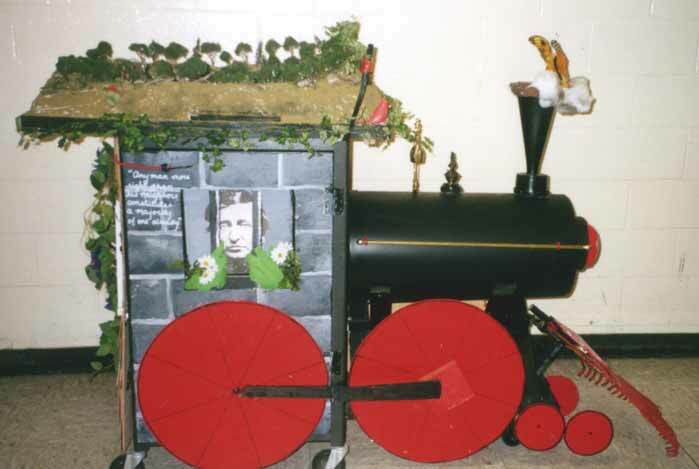 The expense of painting these murals was minimal, but the impact on the school community was large. Murals make art and history public, and a part of everyday life. 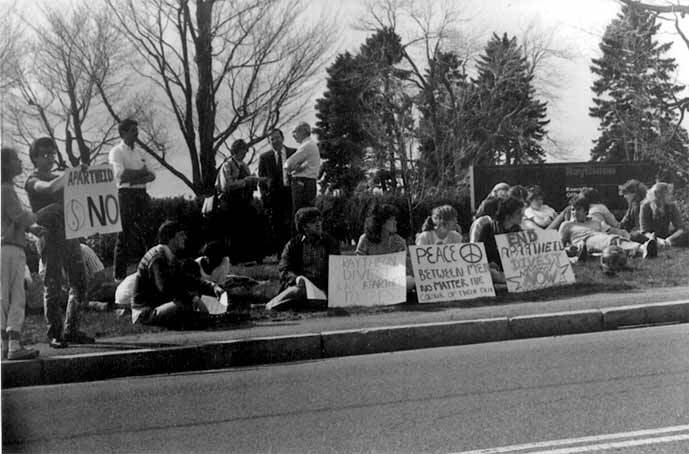 Encouraging kids to get involved in political action has always been a difficult issue for an old 60's activist like myself. There's the issue of partisanship. And then, as anyone who has seen The Prime of Miss Jean Brodie knows, it's easy to manipulate kids, however unintentionally. But here's the rub. Some students have a strong sense of justice, deep feelings about particular issues, and want to get involved. And as a teacher, you want to encourage active civic participation. Fortunately, the issues that galvanize kids usually involve social-consciousness without the sectarianism. There are issues like homelessness, hunger, and AIDS. Occasionally, there are issues that have a broad moral component such as the struggle against apartheid in South Africa. 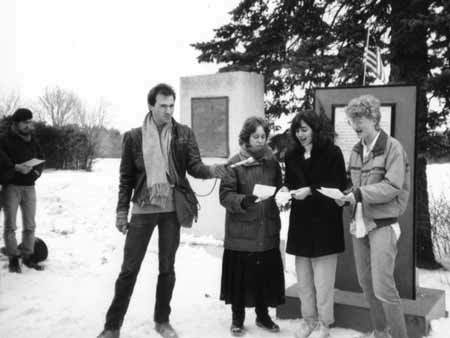 My colleague Thom Thacker was the first faculty advisor of the Students Against Apartheid group at L-S. It was very active from the mid-1980's on. When he left the school, I took his place. 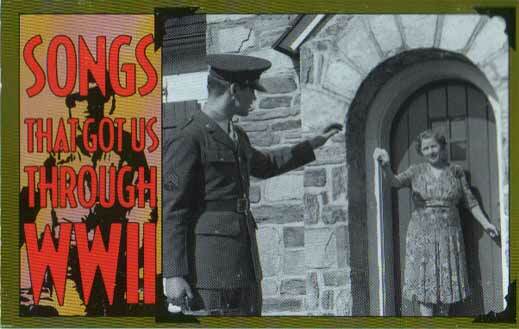 There were leaflets. Debates. Demonstrations in the center of town and at neighboring Raytheon, a large defense contractor, which then had a presence in South Africa. One year, a shantytown was built right in front of the school. 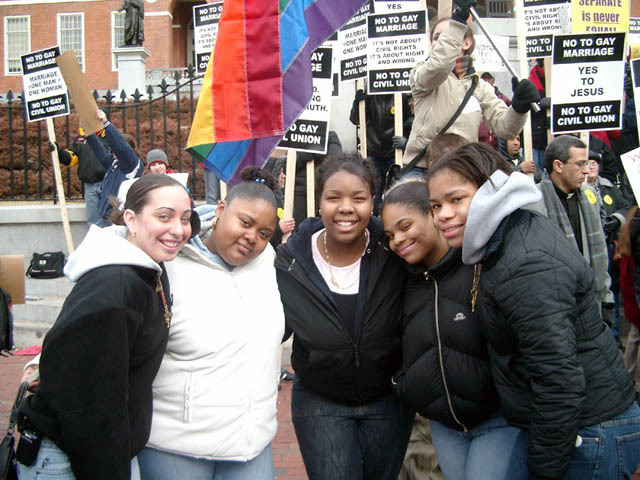 This political activity helped make the school culture even more vital, and moved many kids beyond more mundane teen concerns. 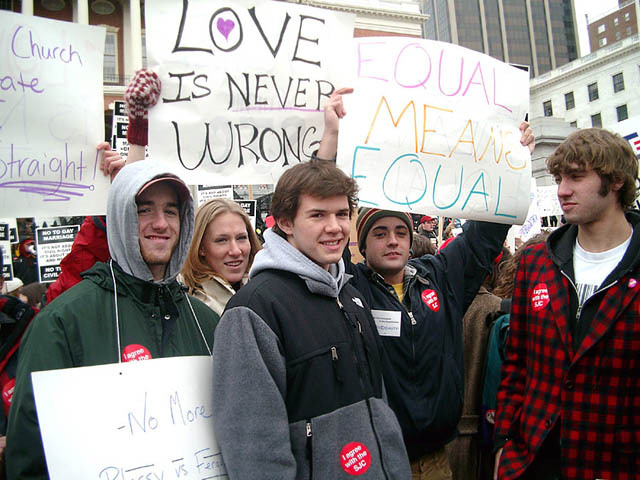 When students understand the issues and their convictions run deep, political action can be a transformative experience, one that teaches civic responsibility, encourages further academic study, and really helps students to grow-and to grow up. In 1987, amidst news reports of holes in the ozone layer and medical waste in the oceans, it occurred to me that a new word was needed to counter the widespread passive acceptance of "Progress," so-called. ("You can't stop Progress!") I needed to do my bit to help other earthlings see that not all change was, in fact, "Progress." This I attempted to do by inventing the word "Doomgress." If my fellow citizens could understand that some changes were actually carrying us to our doom, they might be inclined to resist them. But how to get a new word and concept into the language? I tried to get students in my school to sign a petition in which they promised to used the word five times every day. That didn't work. I then tried to get the language columnist of the New York Times, William Safire, to help give my campaign a push. No go. I was about to give up. 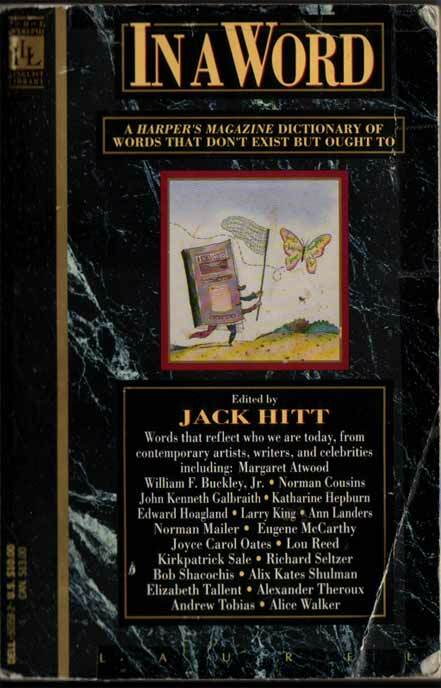 Then, through an amazing set of circumstances, my word was picked up by Harpers' Magazine and included in a new dictionary of neo-logisms ("Words that don't exist but ought to") it was publishing. The book was entitled In A Word. The world was saved! Not quite. In a cruel twist of fate, the book was published but never distributed to stores. Alas, the survival of our world still hangs in the balance. A few circumstances came together that led to the creation of the Martin Luther King Action Project in the spring of 1987. It is now the school's largest service program. Jo Crawford a Lincoln resident and social activist, came to visit me with an idea: to create a socially-conscious internship program at L-S. By coincidence, I had just taken my class on a Poverty Unit field trip to Boston. We had spoken to some legislators, a welfare rights advocate, and had visited a homeless shelter. 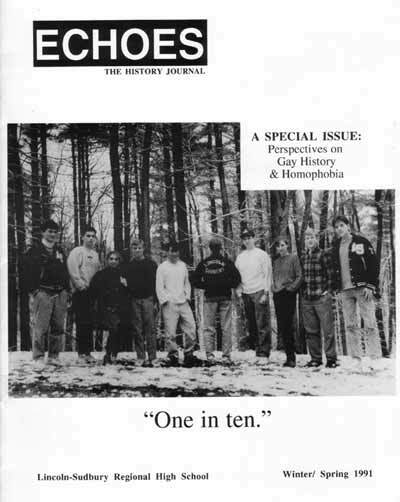 On the bus back to school, my students and I discussed how we might create some kind of continuing connection between L-S and those who were suffering just 30 miles away in Boston. Studying poverty was one thing, trying to change it was another. Doing both would constitutethe best education possible. Within a half hour of the visit, Jo and I had drawn up an outline of the project. Instead of being an internship program, it would be open to all students on an extra-curricular basis. 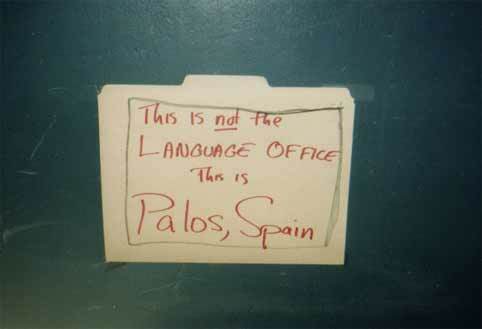 We found Jo some office space, we put in for typewriter, and she got to work. Everyone assumed she belonged there. I mean who would have the chutzpah to just move into a school. I guess we did. 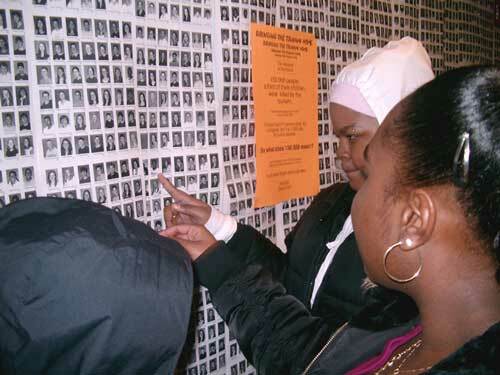 The idea for MLKAP was also inspired by the annual MLK assemblies that began in the late 1980's, with the creation of the national holiday honoring the great civil rights leader. Both Jo and I thought: It's great to honor him on that day, but why stop? Let's do it every day. As of 2004, a significant percentage of the student population participates in MLK and thousands of hours of volunteer time are contributed. 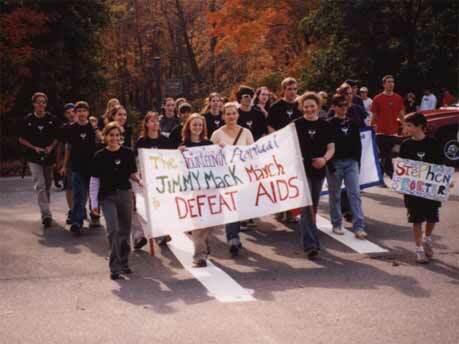 MLK sponsors an annual AIDS March in memory of the eight alumni L-S has lost to that disease, and tens of thousands of dollars have been raised over the years. 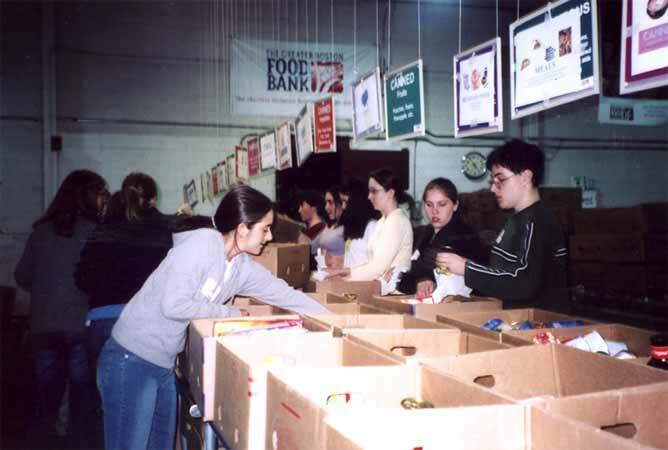 On any given day of the week, students are helping on Habitat Projects, serving food in soup kitchens, assisting in shelters, and helping to stock food banks. During February vacation, MLK volunteers travel to Philadelphia to help build low-income housing. One great thing about MLKAP is that it is run by student and faculty coordinators, with Jo serving as the guiding spirit. The project has become a community within a larger community. 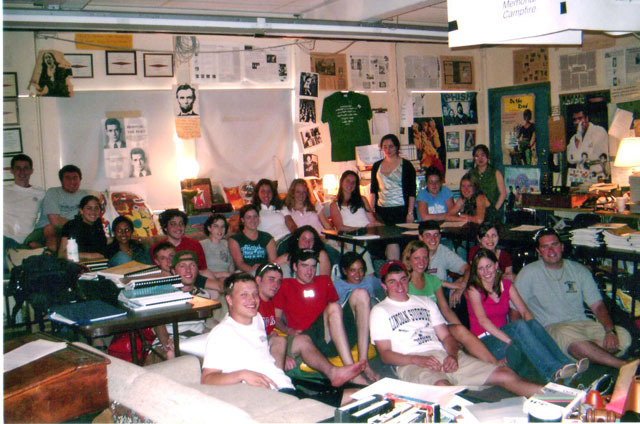 For many students, MLKAP has provided the most memorable and meaningful experience of their high school years. 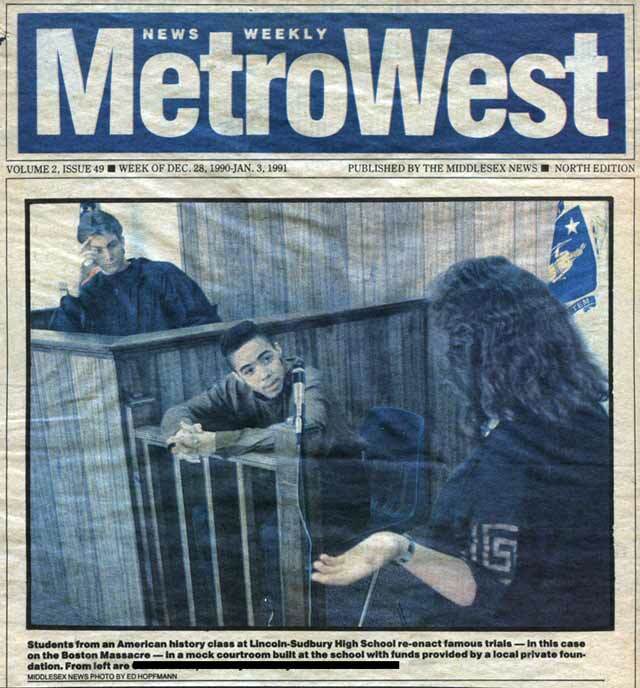 In 1990, my colleague Richard Johnson and I got the idea to build a moot courtroom in the school. We wrote a proposal, received a $6000 grant from the Sudbury Foundation, and proceeded to design the facility and have it built. At that time, school enrollment was shrinking and there was plenty of space. 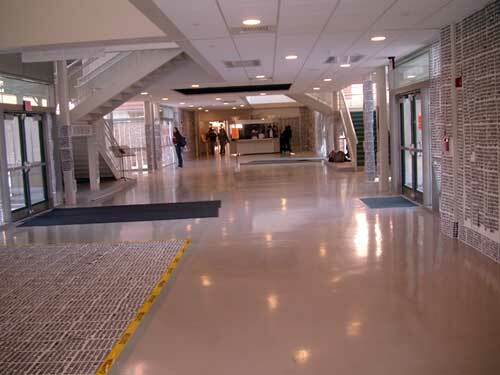 It was a beautiful facility, unique in American high schools. The real-life judge who participated in the court's dedication said he wished he worked in one as nice. It was so great to see the theatricality that the courtroom inspired in students, some of whom hadn't experienced great success in school. 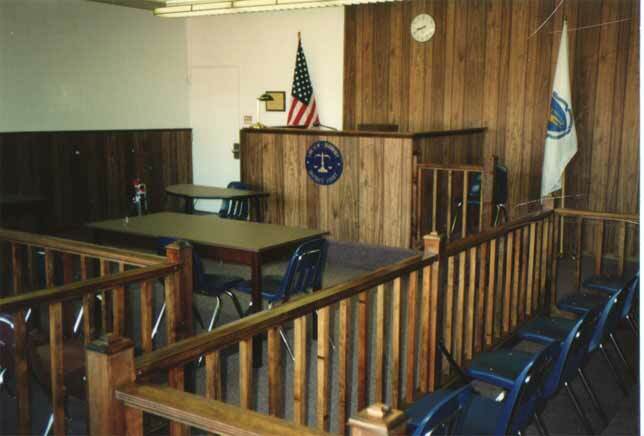 The moot court was a wonderful asset for courses like Great Trials and Law & American Society. By 2003, the school had become overcrowded and the courtroom was required as a regular classroom. We assumed it was going to be disassembled and transferred to the new school building, then under construction. But much of it was just torn up and thrown away. 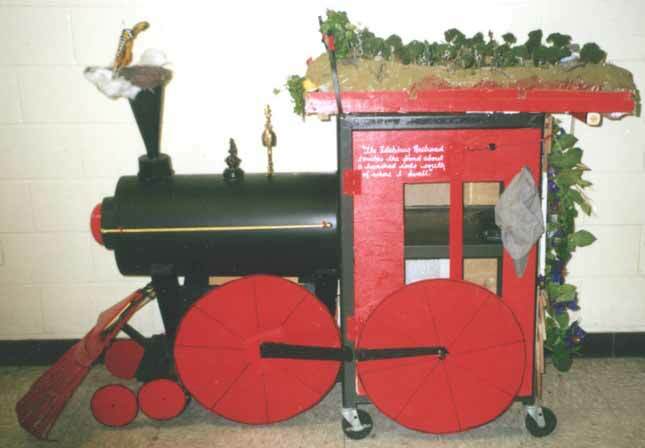 How could a project that inspired the passions of two teachers seem like just so much used lumber to others? What different perceptions exist in this world of ours. 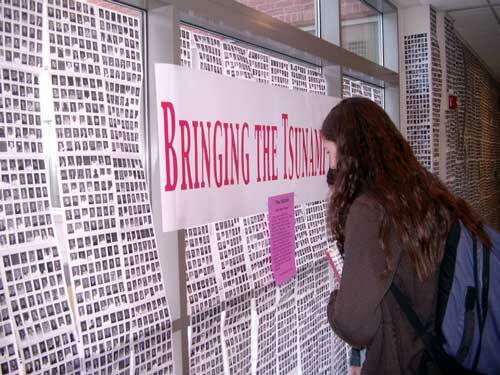 In the years before the creation of the public memorials and museums about the Holocaust, I organized annual remembrances at L-S. Every year there was a different theme. 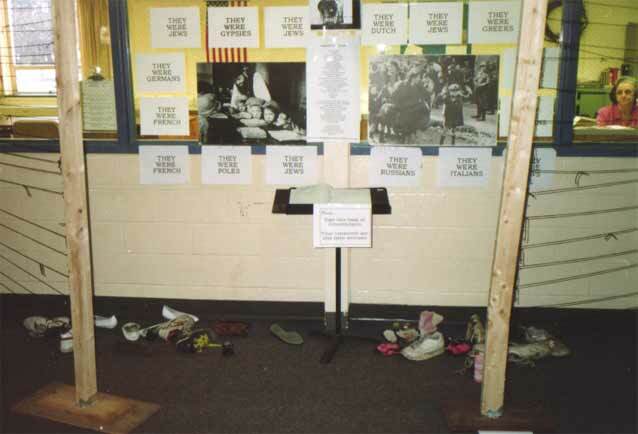 One year, students wore different colored crepe paper armbands corresponding to the various colored patches the Nazis reserved for different groups; another year the remembrance focused on the one-million children who were killed, and students were greeted with a barbed wire fence and a heap of old shoes near the main office. Then there was the year that both the Holocaust and the African slave trade were highlighted. 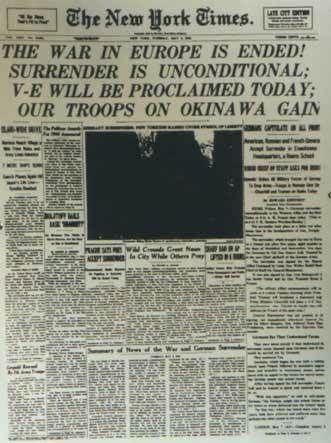 But one remembrance turned out to be the most powerful. I decided to explore the meaning of the number 6,000,000. Can we really imagine and appreciate its magnitude, I wondered? 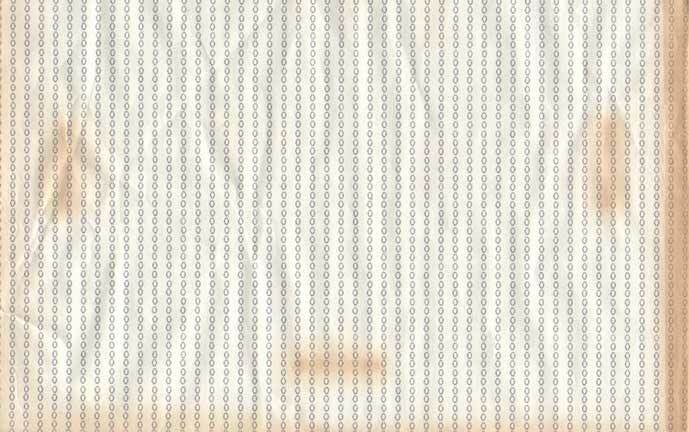 I had the school's relatively-primitive computers programmed to print 3000 zeroes on sheets of that old tracked computer paper. The computers ran all night. I tacked the resulting paper chain on the wall, just below the ceiling. I had imagined it would trail down a thirty-foot section of wall near the main office. 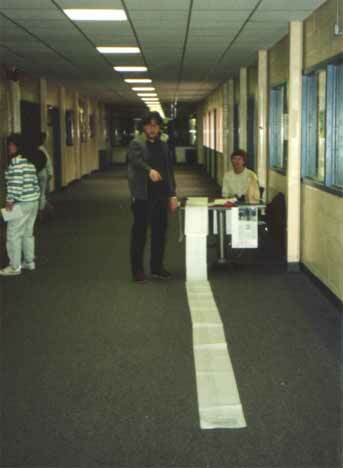 Instead, the paper snaked around the school, past the library, through the glass corridor, around the science wing, and half-way down the English hall, about 1/4 of a mile away. Everyone was stunned. Trust me, because it's too complicated to explain: Lincoln-Sudbury had two 40th anniversaries (and will have two 50ths, etc). 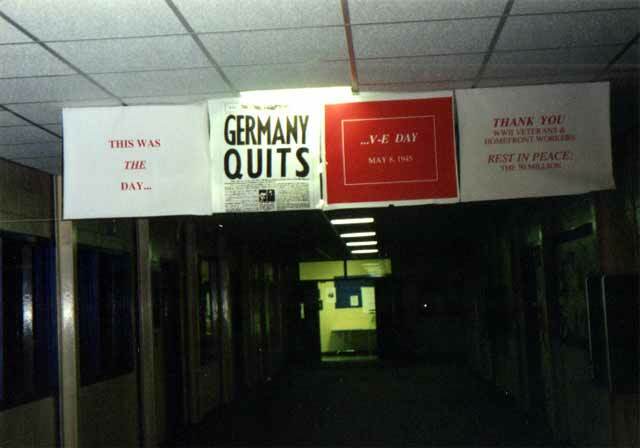 On the second 40th, in 1996, I planned a anniversary party for the school. 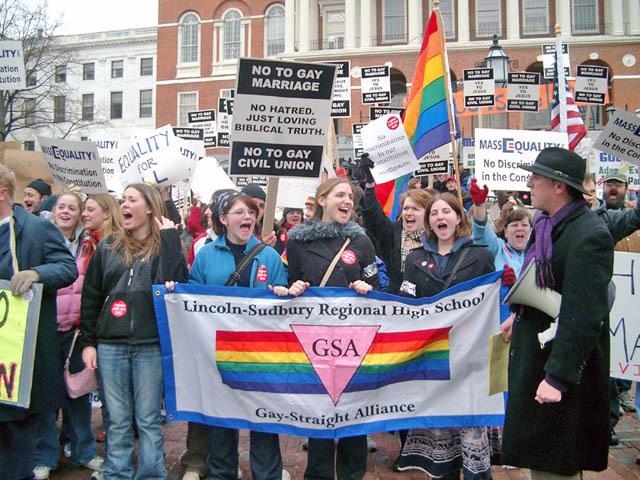 It seemed important to celebrate the first four decades of a progressive American public school, particularly because of the threats posed to L-S by the state's standardized testing mania. We had a party in the courtyard. A beautiful anniversary quilt was made. We voted on an official school motto: Tuo ingenio utere, cole ingenium aliorum... "Think For Yourself, But Think Of Others." 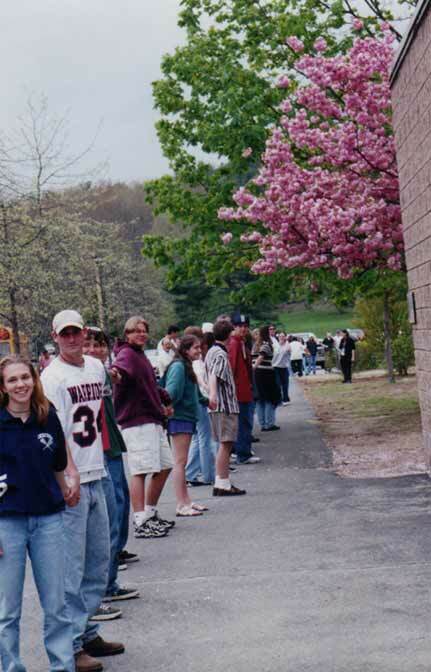 And one morning, everyone left their morning classes to "hug" the school, encircling it, hand-in-hand. It says a lot about a school when students are willing to give it a hug. The study and appreciation of history begin at home. 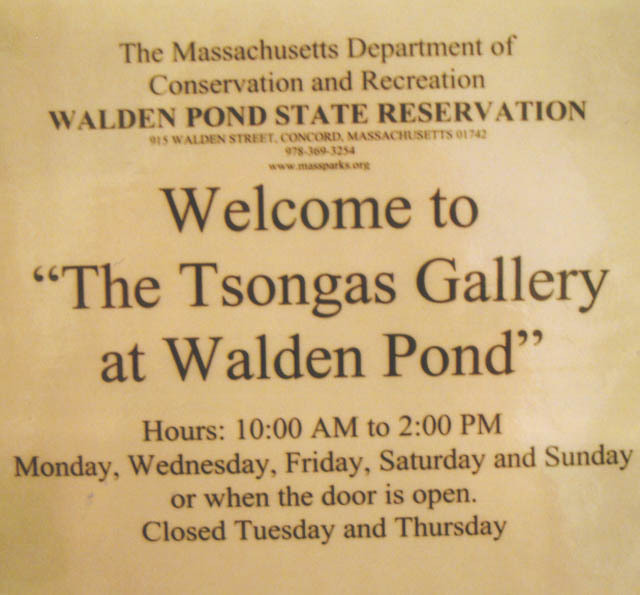 Although I had gone swimming at Walden Pond for years, I had never really thought much about Thoreau himself. 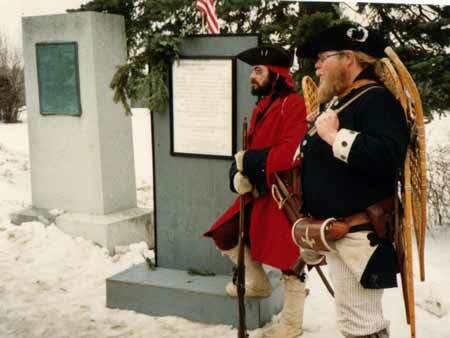 Then, inexplicably, in the early 1990's I began to explore this man of Concord and for the first time really looked at the cabin replica at the pond. Then and there I decided we had to build one at the school, which is only five miles away. 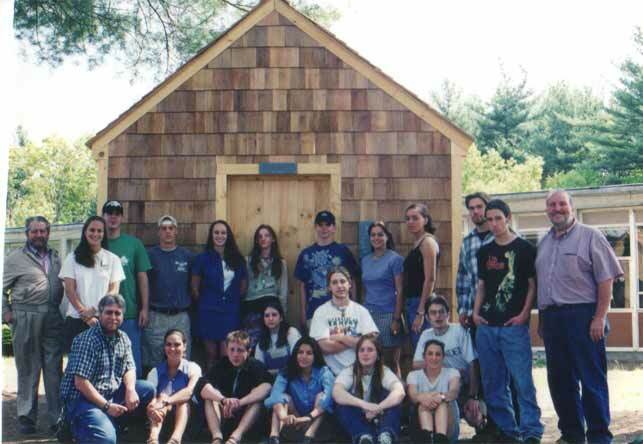 There followed one of my greatest experiences at L-S, co-teaching with colleague Joe Pacenka, the Building Thoreau's Cabin class. 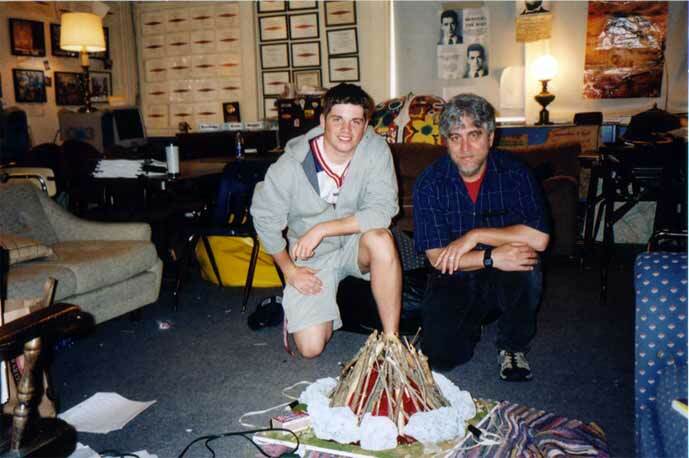 It took a few years to get the money, but finally, in 1997, Joe and I succeeded. 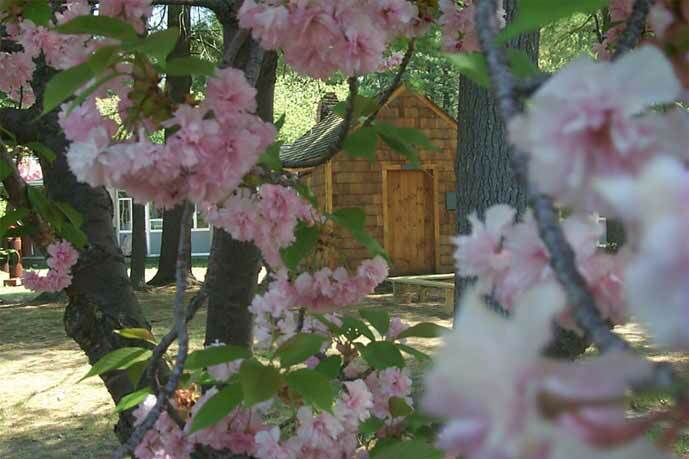 The cabin was build in the auto shop, then disassembled, and reassembled in a grove of trees in a beautiful courtyard of the old school. We thought it would take a semester, but it ended up taking a year plus. It was a tremendous experience. 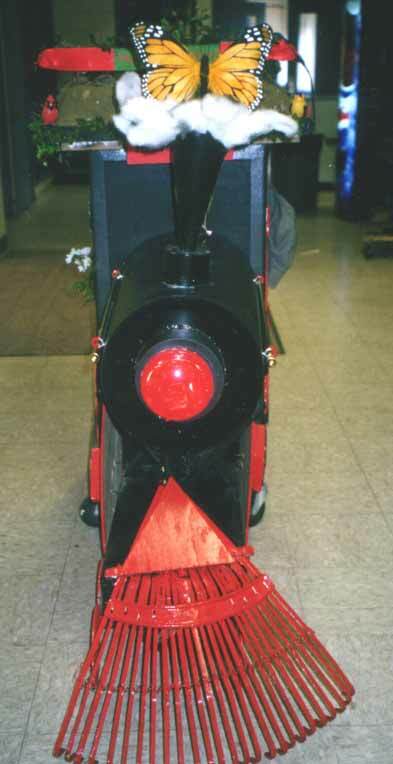 As the technology teacher, Joe Pacenka directed operations, and I assisted where I could. We built it the old-fashioned way, with few power tools. The Boston Bricklayers Union loved the idea and donated the labor to build the chimney and fireplace. The students in the class represented the full-range of the student body. Some had never held a tool before. 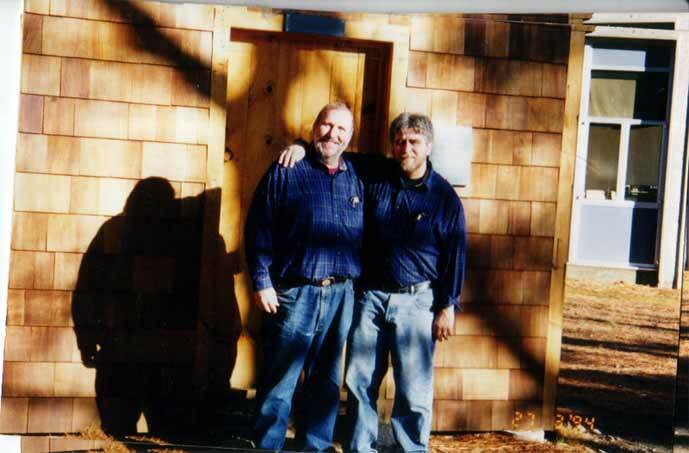 The cabin was a wonderful accomplishment for all who worked on it. 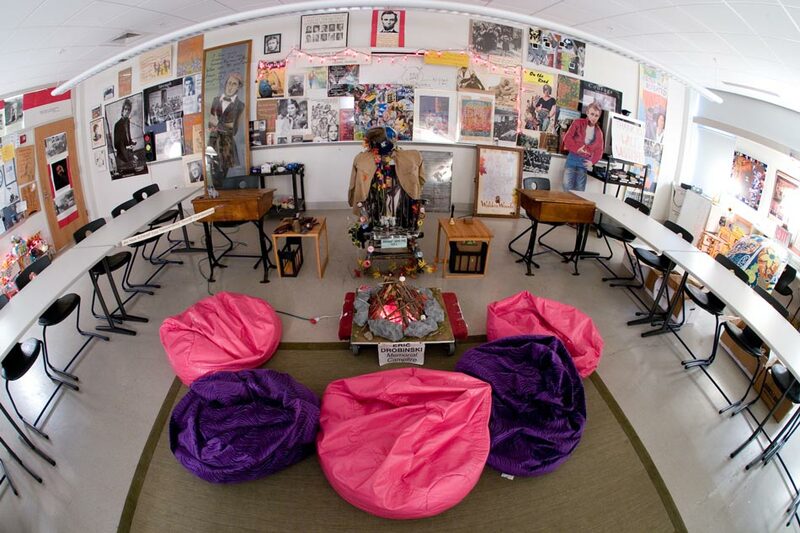 It now serves as a place for the "solitude solos" of students in the successor course, "Meet Mr. Thoreau." 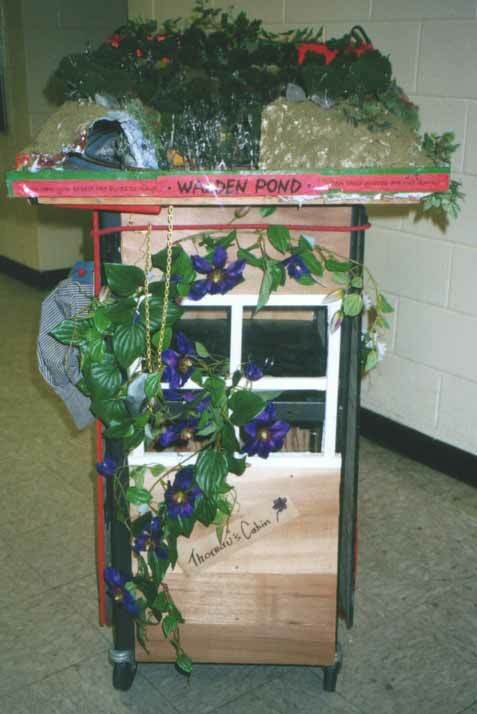 The cabin was located in a courtyard surrounded by classroom windows and glass-walled corridors. My hope was not that all the kids in the school would use it. But rather that, at some point in their four years at L-S, they would glance at the cabin, and wonder why it was built, why anyone bothered. And who knows where that moment of wonder might take them. The cabin also stood, in my eyes, as a silent counterpoint to the suburban affluence that surrounds it. 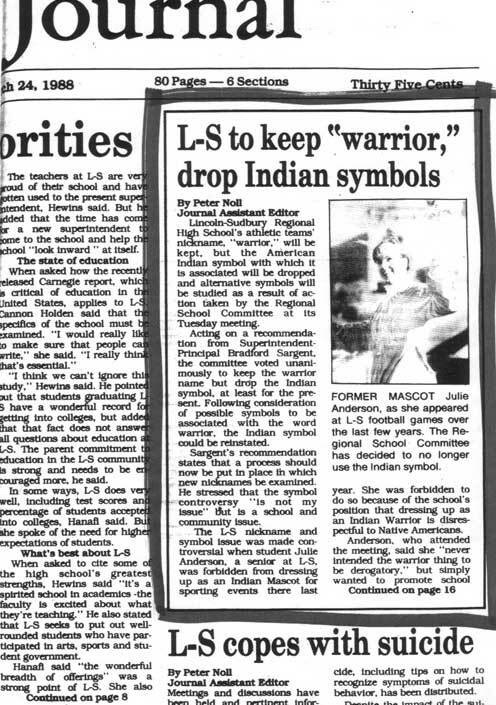 In June 2004, the original L-S is slated to be razed. The cabin will survive, but will now be surrounded by a new parking lot. Such are the cruel twists of history. There are plans afoot to move it. 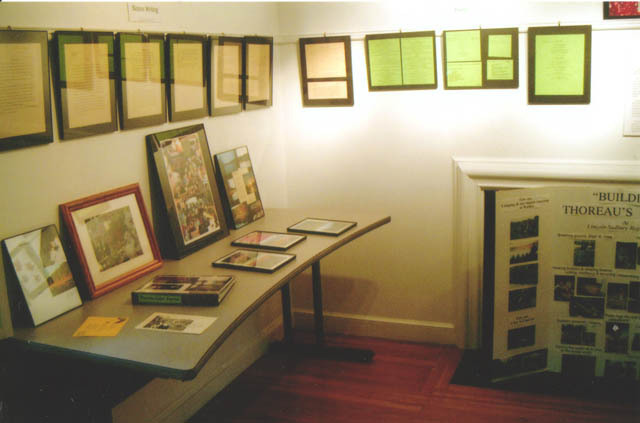 For ten years, I became obsessed with family history projects. Total Immersion. The first one involved a history of my paternal grandmother who had left us a hundred letters sent to her by her family in Belarus. 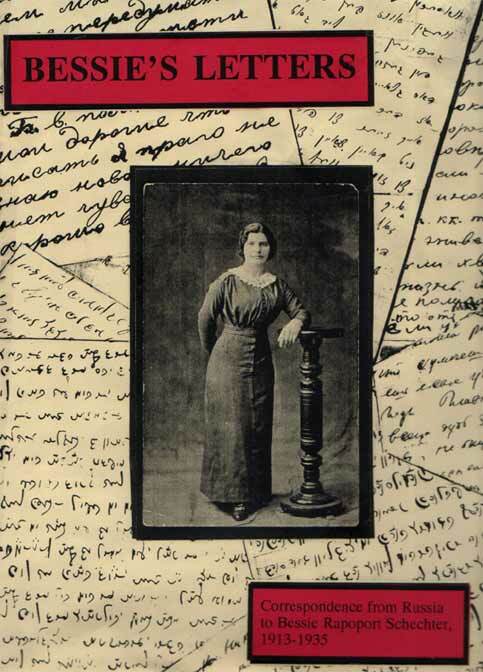 It took ten years to have them translated from the original Russian and Yiddish. 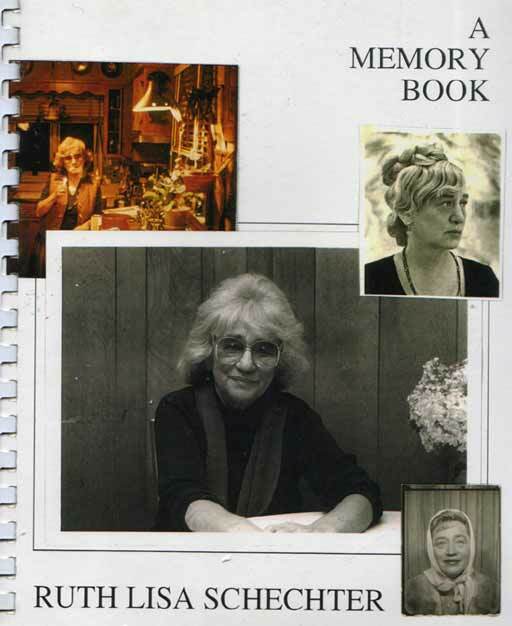 There followed memory books for other members of my family, complete with reminiscences and official records. 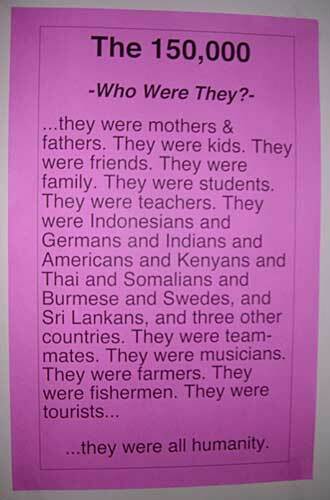 Then I researched my wife's great-grandparents who had emigrated from Ireland. With the support of a grant, we traveled to Ireland and to her "hometown" of Killorglin, County Kerry. It was an unforgettable experience. 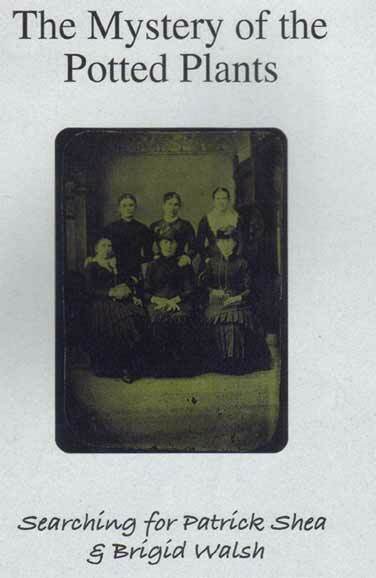 The particulars of what I learned may not be of interest to others, but by approaching genealogical work in a broad manner, concerned as much with context as family trees, I learned a lot about history and "doing history." Genealogical research has all the excitement and frustration of detective work. 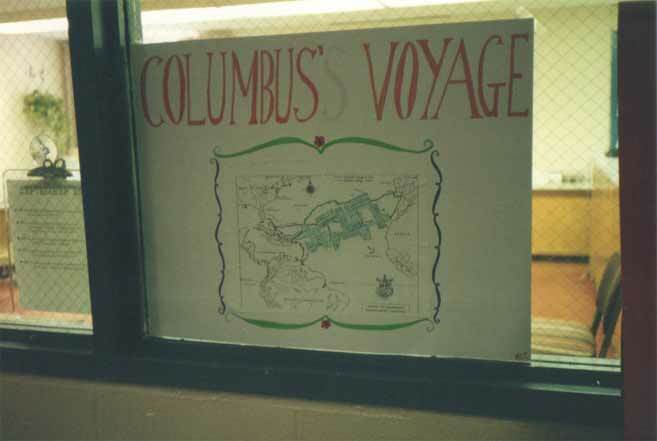 The projects produced some wonderful classroom materials but also energized me as a teacher. The Internet now has some invaluable resources that bring this kind of research within reach of high school students. Field trips are always a highlight for me. They never seem to be mere supplements to my teaching. Going out into the world helps bring reality to what I was teaching. They are a way of saying: learning doesn't only happen in the classroom. The trips also provide a wonderful opportunity for me to get to know my students, and vice versa. Inevitably, this changed the student/teacher dynamic in the classroom. And what adventure and what fun. I have visited the Newport Mansions so many times, I could become one of the tour guides. 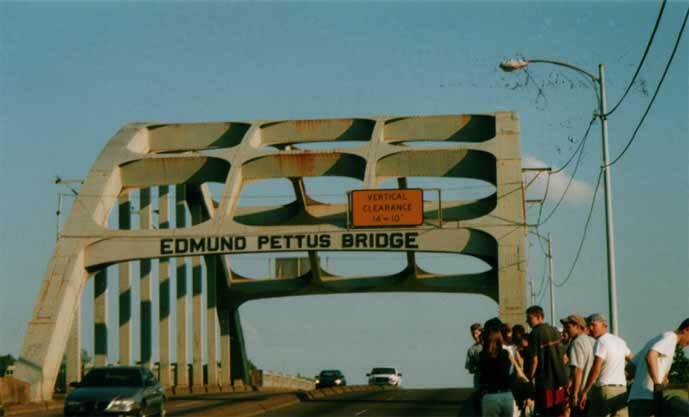 I have led three April vacation trips through the Deep South, following the trail of the Civil Rights Movement. 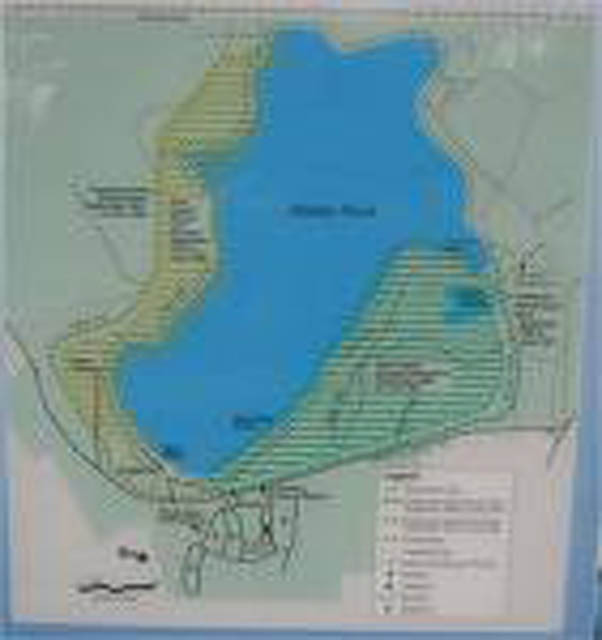 My students and I have taken sunrise swims at Walden Pond and tracked Thoreau's footprints through Concord. 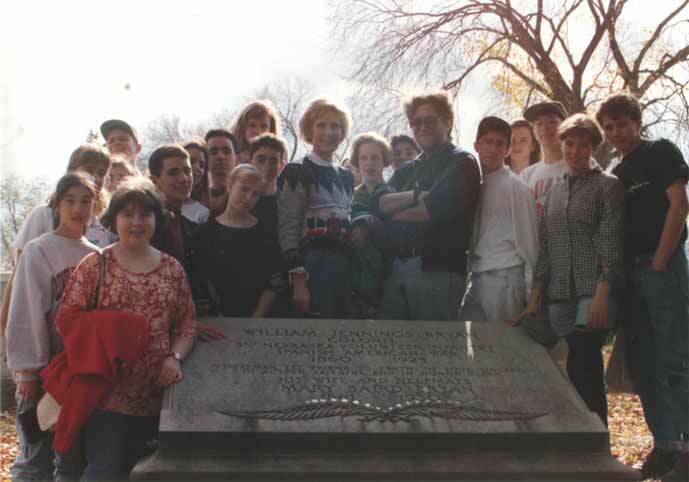 There were trips to Washington D.C. where we visited the usual tourist attractions, but also spent hours searching for William Jennings Bryan's grave at Arlington National Cemetery. 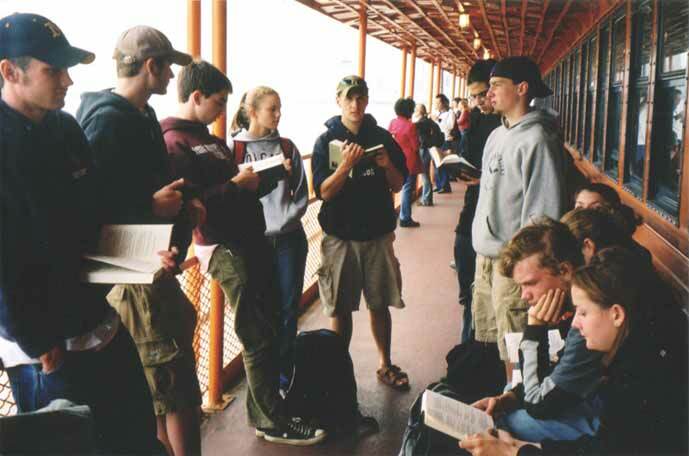 There were trips reading Whitman's "Crossing Brooklyn Ferry" on the Staten Island Ferry. And then there are the annual "Postwar" trips to "search for the New York of Holden Caulfield and Jack Kerouac." 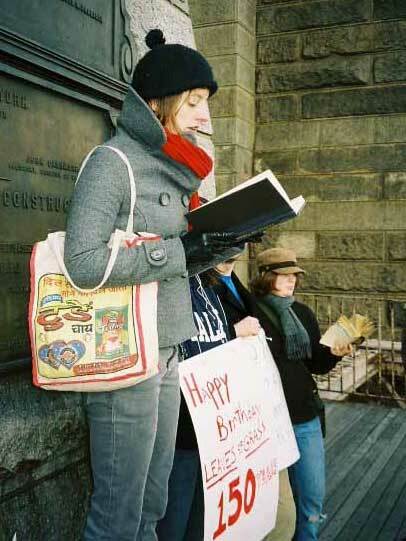 Twelve hours of racing around the city just to stand in the places the students would read about in books. 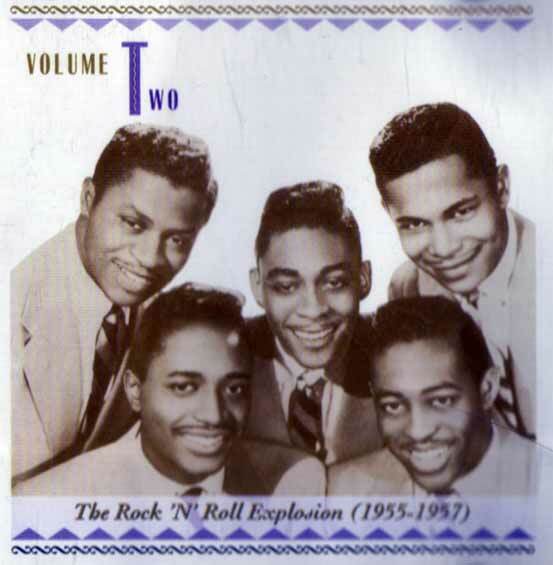 One year we happened to bump into a Hollywood film crew making a documentary--"The Source'-- about the Beats. Next thing we knew, we were in it. 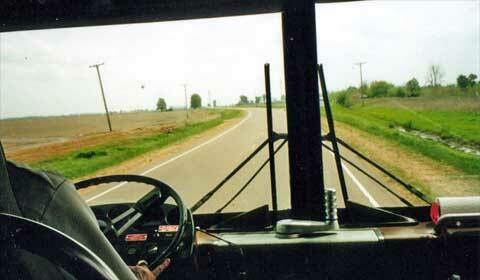 That field trip was a happening on wheels. As the school became more conservative, more sports-oriented, and more structured, and as state standardized testing began to encroach on the school year, it has become more difficult to schedule field trips. What a pity. The trips produce imperishable memories, including several love affairs and marriages among my former students. The club is dedicated to listening to every single Bob Dylan song. 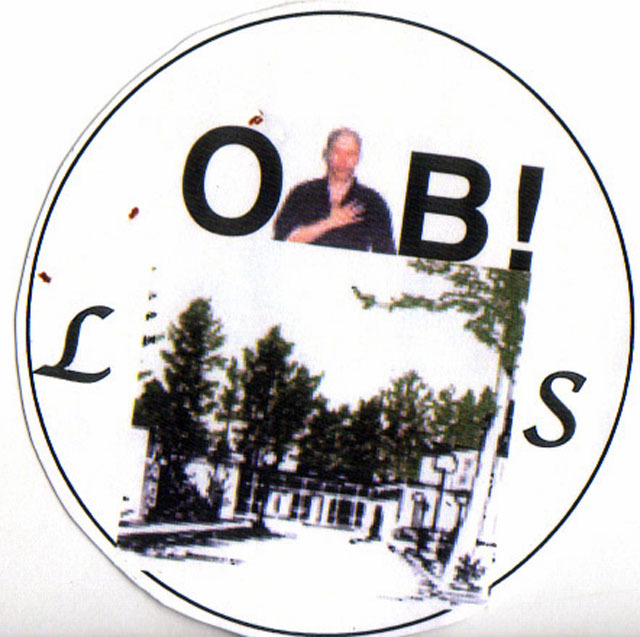 On May 24, 2001, the L-S BDC swung into action with a special celebration of the 60th birthday of America's greatest poet. Festivities began at 7 a.m., with loud renditions of the master's songs. 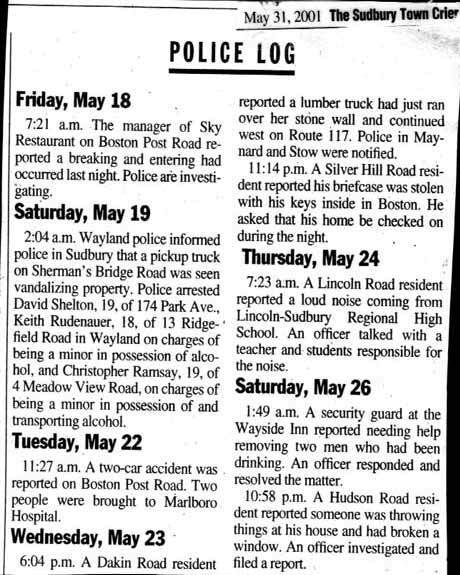 Neighbors and the Sudbury Police did not entirely approve. 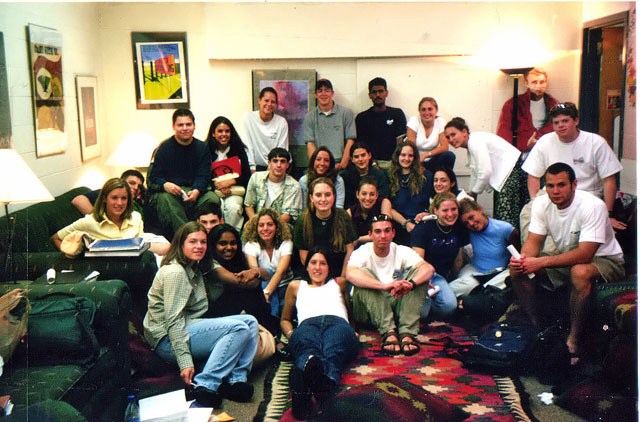 I had just come out of my first journalism class on September 11, 2001, when I learned about the terrorist attack on the World Trade Center (and later the other associated tragedies). Everyone in the school, in the country, was devastated. It's hard to even recall our collective frame-of-mind during that first week. By Wednesday, colleges and professional teams were canceling their weekend football games. 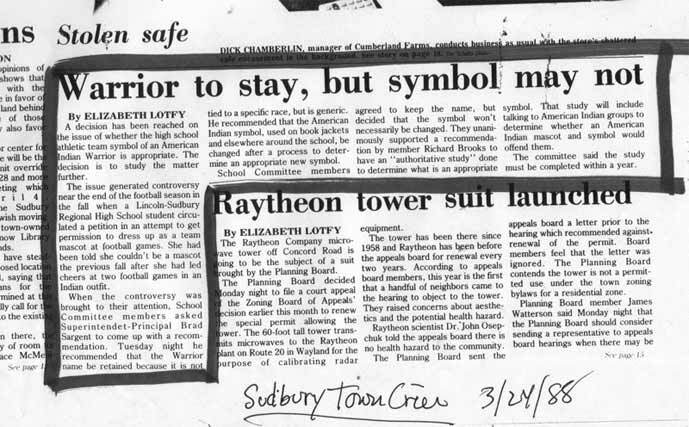 To my great shock, I learned that Lincoln-Sudbury was going to play its game on Friday night, this while thousands of our fellow citizens were still buried under the rubble in my native city. I was so angry. I sat sputtering and shaking in the Principal's office. I was told that sports were part of the educational program. Gee, I thought this was exactly the wrong lesson. What were they thinking? The school administration redeemed itself the following week by allowing a beautiful memorial service, ironically on the football field. 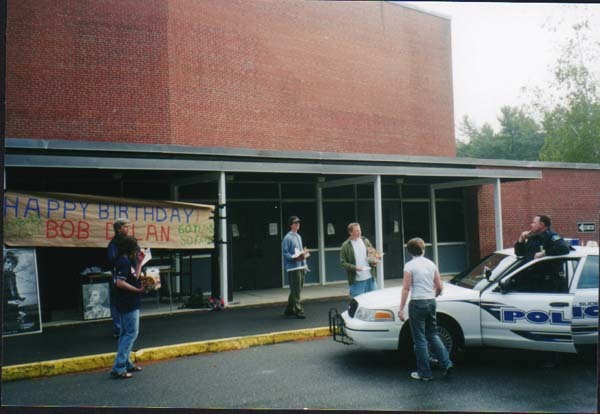 It began when the entire school marched in silence from the old science wing, led by town police cars and fire engines. It was such a moving moment. 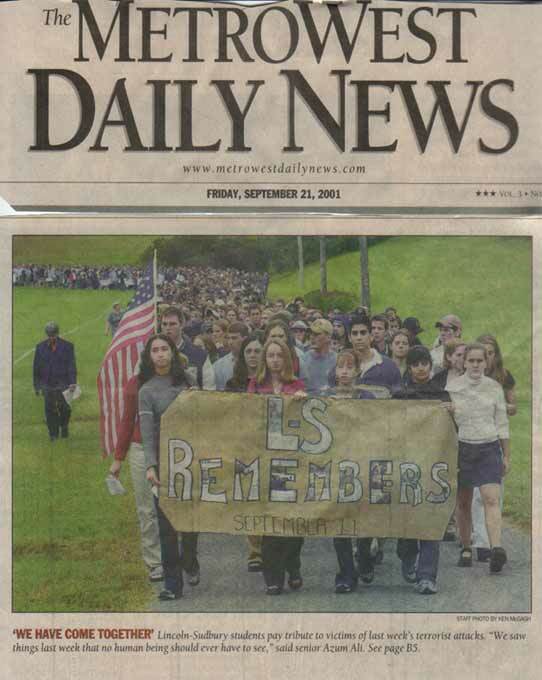 On that day, everyone in the L-S school community shared a powerful experience. 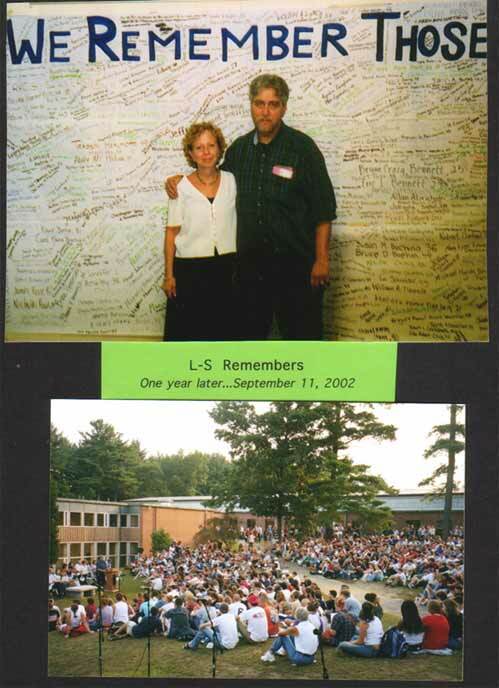 A year later, L-S commemorated the first anniversary of 9/11 with an assembly in one of the courtyards. The emotional intensity was still there. It was a privilege to work with my colleague Karen Thomsen on these events. 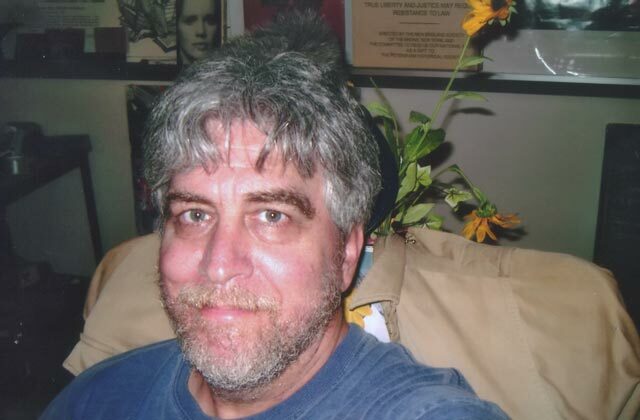 Eric Drobinski was one of a number of former students who died way before their time. Because we had gone camping together, it seemed appropriate to memorialize him with a campfire. 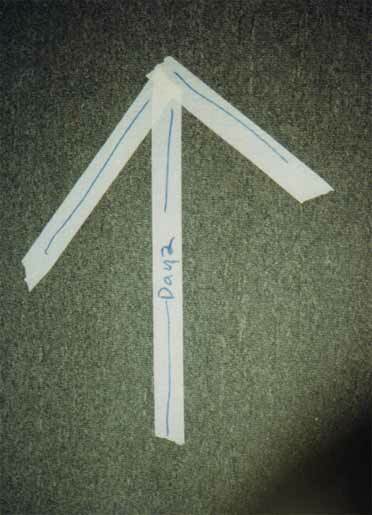 It hangs from the ceiling of my classroom and is lowered and "turned on" when I have a story to tell. I still feel Eric's loss keenly. I hope the campfire says something to every class that sits under it about the human connection between teachers and students. Doing goofy stuff should be an integral part of any teaching career. I regret I didn't do more. There were chocolate chip cookie-making contests in my classes (All attempts were rated, as part of our quest to find the perfect cookie ). There was my sudden disrobing (down to a bathing suit, anyway) while reading Beat poetry. And there was the simulated knife fight with a student (I so looked forward to that!) just when the lights came on after the class had watched the final, climactic scene of Blackboard Jungle. 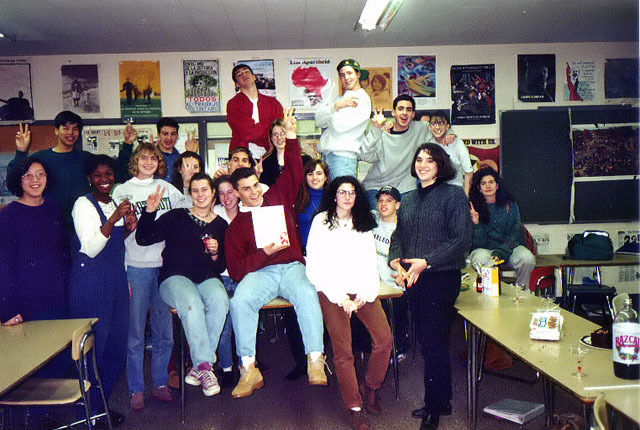 Sometimes, the goofiness went school-wide. 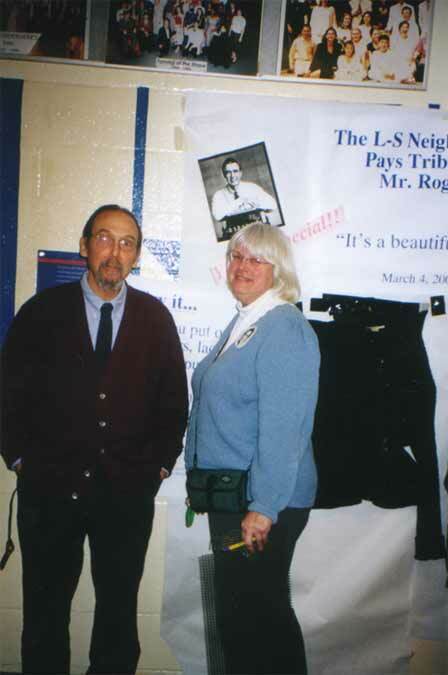 When Mr. Rogers died in 2003, I helped organized a Mr. Rogers Day. 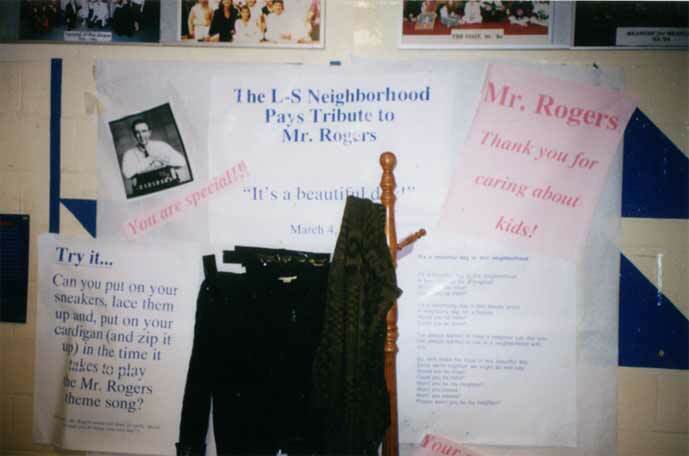 The school community was encouraged to wear Mr. Rogers-style cardigans (some did), and Mr. Rogers' songs were played during the class passings. The remembrance was goofy, but I was really moved by Mr. Rogers' death. He could be a little boring. He lacked the flash of Sesame Street (which my own kids preferred). But what a love of children! What integrity! This was my attempt to capture the beautiful, panoramic view from the hill behind the carriage house at the incredible Wildflower Inn, in Lyndonville, Vermont. Turn the crank on the right and you get the full 360°. Of course it needed a box to protect it, and the box just kind of developed into a cow. I guess this was one of those projects that just grows as it goes along. In the fall of 2001, I injured my shoulder, and was unable to carry my book bag. The school was kind enough to give me an old cart. But why push an old cart when you can push Ken Kesey's bus, with headlights flashing, horns honking, and Dylan blaring out from under the hood. Four student artists helped me realize the vision. 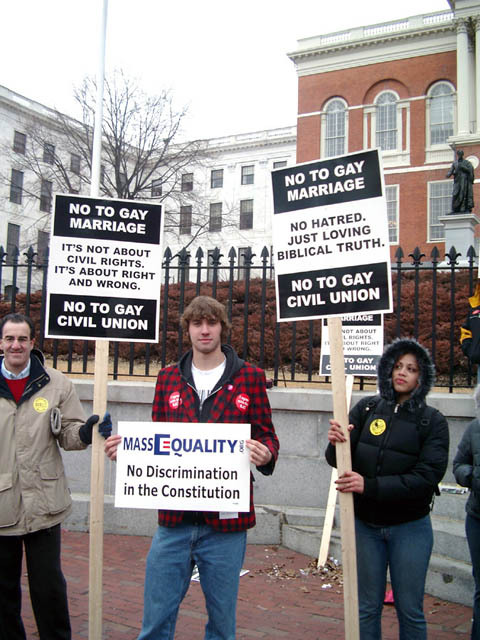 On March 11, 2004, the Massachusetts Legislature was preparing to vote on a bill legalizing gay marriage, following a favorable court ruling. Lobbying, pro and con, was intense inside the statehouse and out. For high school students who had studied the Constitution, this was the mother of all teachable moments, whether one thought the lesson was about tolerance, or defending the traditional marriage arrangement, or just learning something about how the democratic process really worked. I asked the school for permission to rent two buses to take students from school to Beacon Hill to lobby the issue as they saw fit. 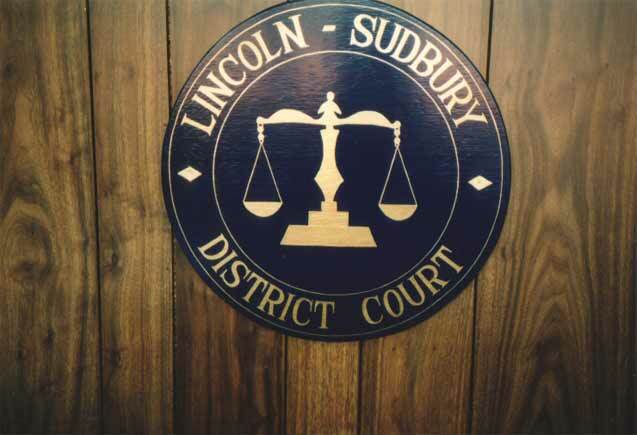 Lincoln-Sudbury gave its permission. 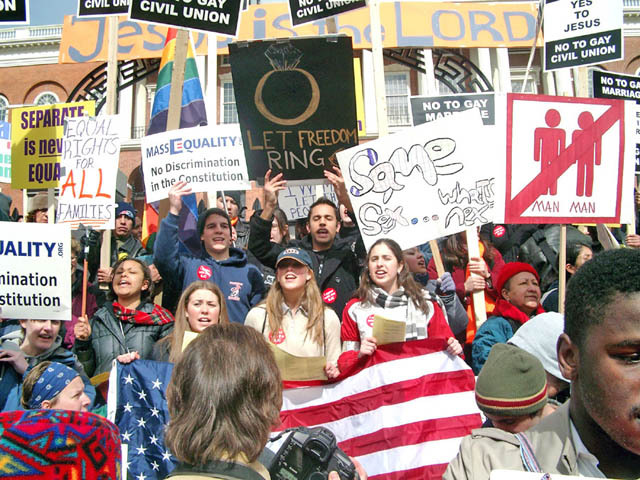 For many students who had never publicly advocated a position before whether in the suites or on the streets the day brought their classroom into the world and provided an unforgettable experience in democratic participation. 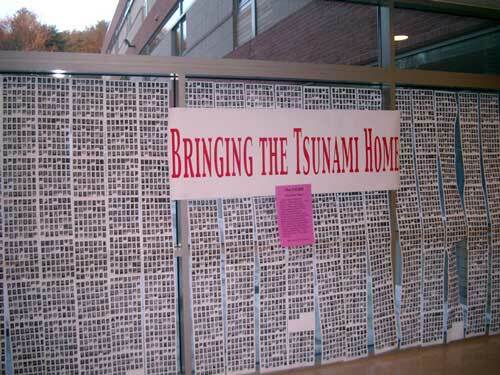 This was Civics with a capital "C."
When the Tsunami hit in December 2004, the school community responded magnificently. A student coordinating committee planned daily activities and raised over $25, 000 for the victims and the ravaged areas. 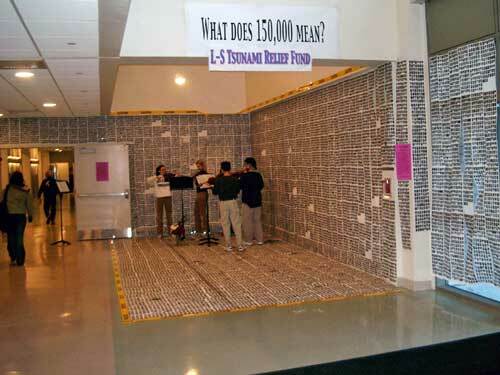 My contribution, implemented with the selfless help of a number of students, was transforming the ground floor connector between A and B buildings (of the new L-S) into a Hall of Faces, with 150, 000 images. Each image represented one of the victims of this incomprehensible tragedy. The images came from a "face book" used to identify students. 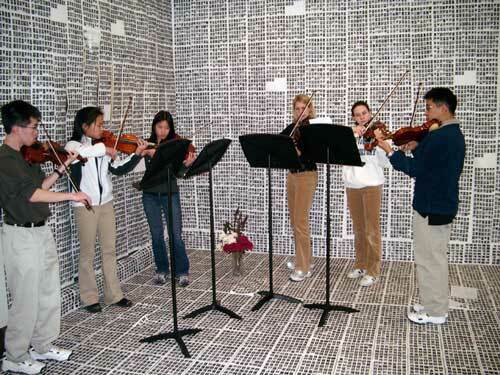 One day, a group of students played solemn classical musical. The effect was overwhelming. As one banner read, "This was our tsunami too." 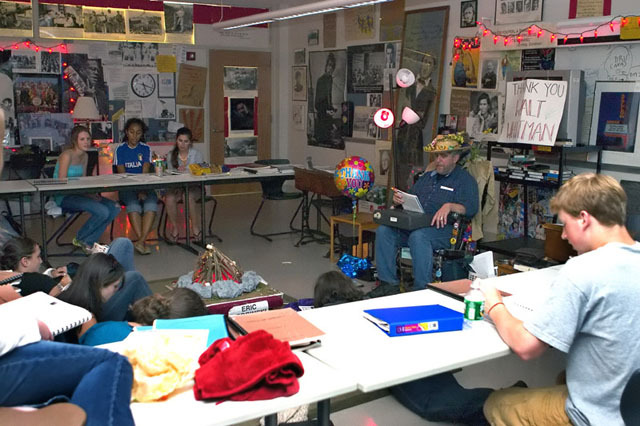 In 2005, after teaching history for 32 years, I decided to make to make the writing of poetry a requirement in my sophomore "20th Century" American history course. 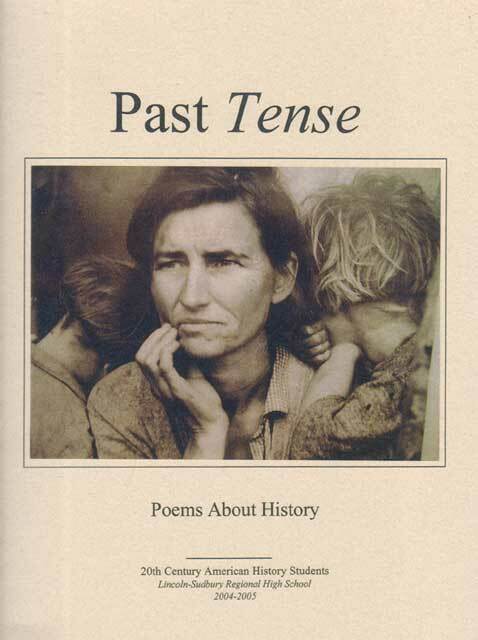 I hoped that, through poetry, students would be able to find some of the emotional truths in our past. 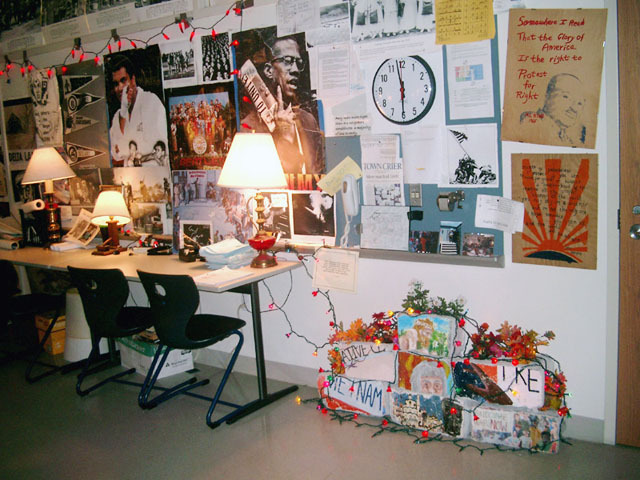 Prompted by large photographs, some famous images, some not, students would be given a few days to write a poem, and then an opportunity to revise them. 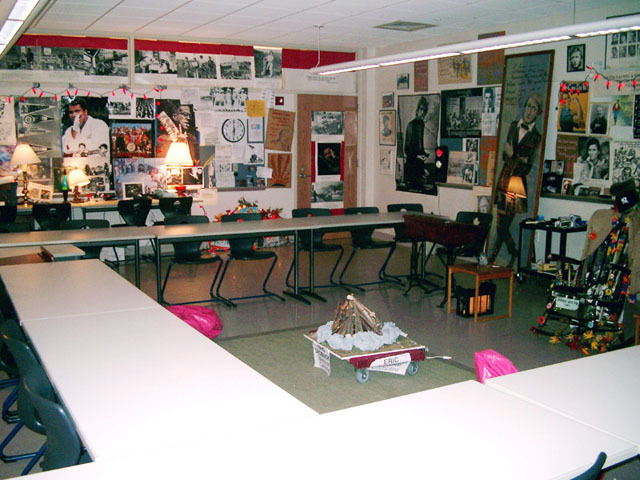 The assignments were included in the following units: Industrialization, Immigration, the Progressive Era, the Twenties, The Great Depression, and World War II. Could students be required to write poetry? Would the results be any good? I was startled by what I read. Many wonderful poems were written, and in each, students were able to join historical interpretation and creative expression. I was reminded once again that if teachers don't ask, they don't get. With the help of student editors, the poems were compiled in a book called, Past Tense, and then students had an chance to share a few of their poems at an evening poetry-reading. 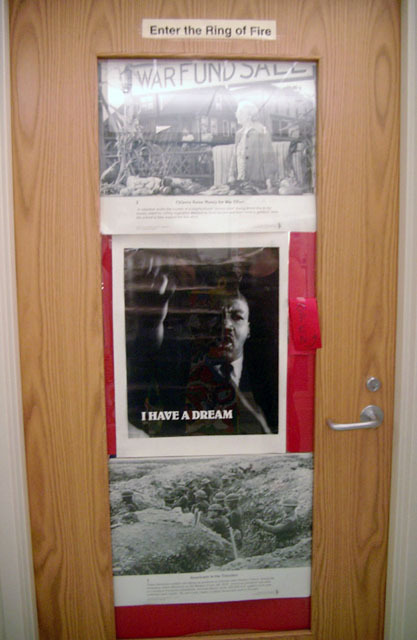 This was once of the best, most rewarding history projects in my years as a classroom teacher. 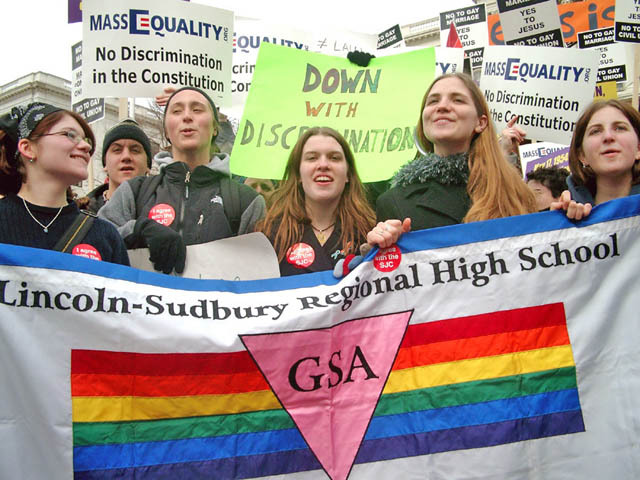 On a brisk October 29, 2005, at high noon, nearly two-dozen former and present students of Lincoln-Sudbury Regional H.S. 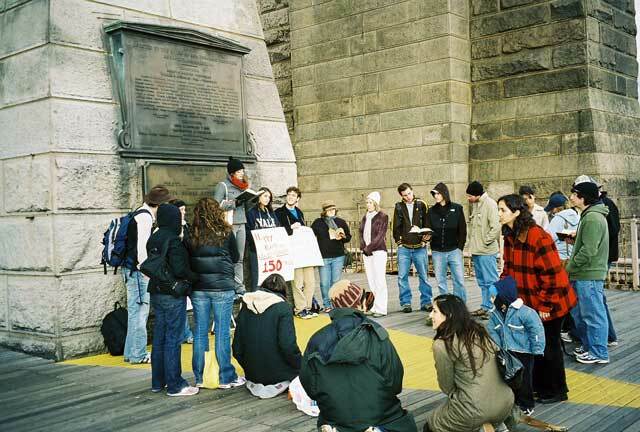 left their homes or campuses in five states to gather on the Brooklyn Bridge. 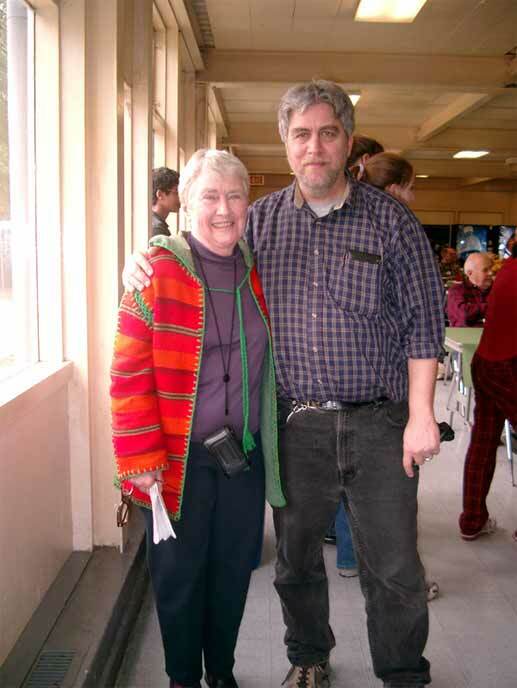 The purpose of this unusual reunion was to read aloud from Whitman's Leaves of Grass on its 150th anniversary. Though there had been some New York commemorations of this literary milestone during the past year, most had been lectures of one sort or another. The L-S crew remembered Whitman as we think he would have wanted us to: by reading his poems to the people of New York City, with "mast-hemmed Manhattan" before us and the "ample hills of Brooklyn" behind us. Thank you, Walt Whitman–and thank you, L-S alums! 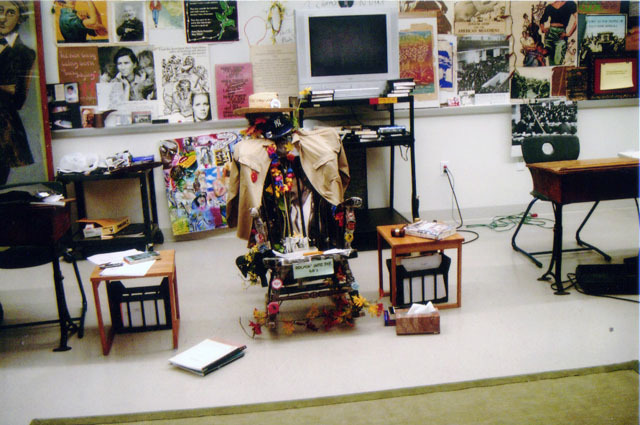 When I officially retired in June 2006, I had to disassemble my classroom, which (after two years in the new building) it had morphed into something...well...distinctive. 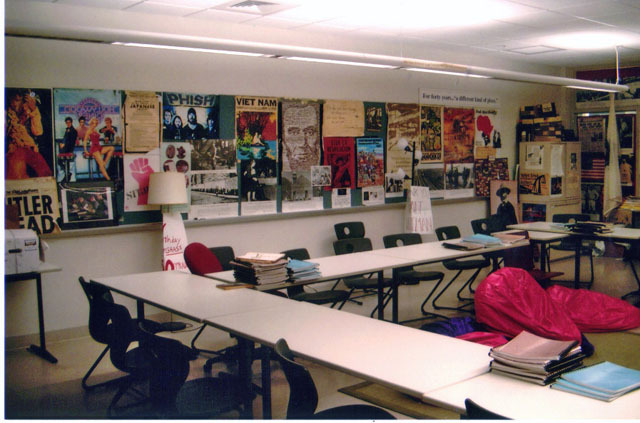 Colorful political and historical posters, photographs and mementos plastered the walls, leaving me about two square feet of white board to write on. 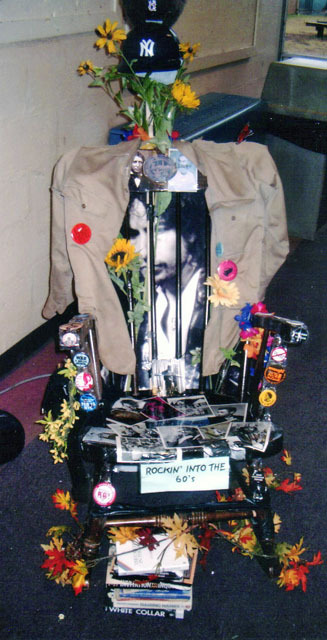 The tables were arranged in a rectangle with one side open, where I sat with my highly-decorated, unique "rocking-into-the 60's" rocking chair. In front of me, there lay a rug with 4 or 5 beanbags on it (for the "beanbag community"). Lamps surrounded the room and effused a golden glow throughout. 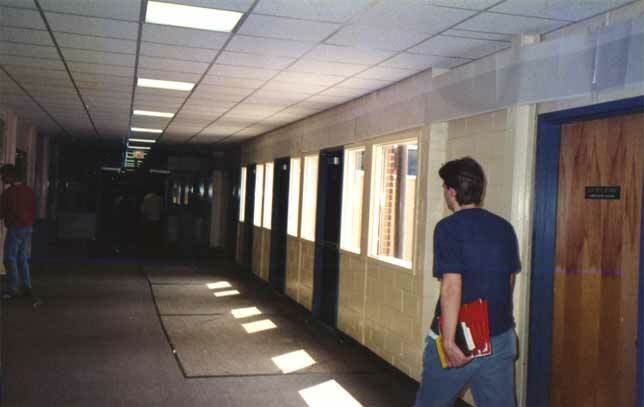 Shades blocked all sunlight from coming in, no harsh overhead fluorescent light was allowed. Instead, we sought "transcendence through total incandescence." Strings of red lights were draped from every wall. When jazz was played, all lights went out (We simply needed more night, as Kerouac once wrote). When I told a story, the classroom's electric campfire was lit. Let's just say the place had ambience. 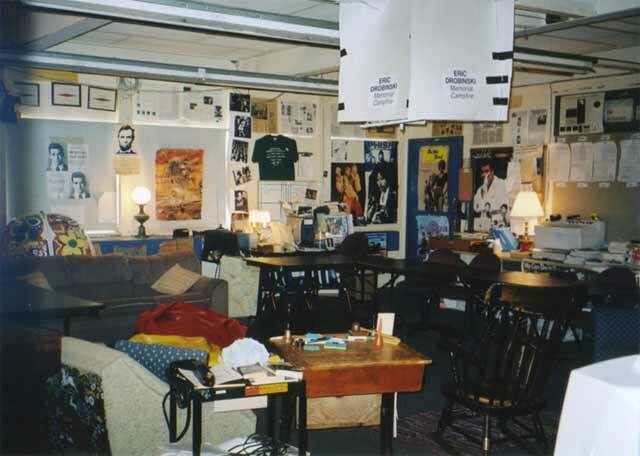 Students often told me how how much the room meant to them. 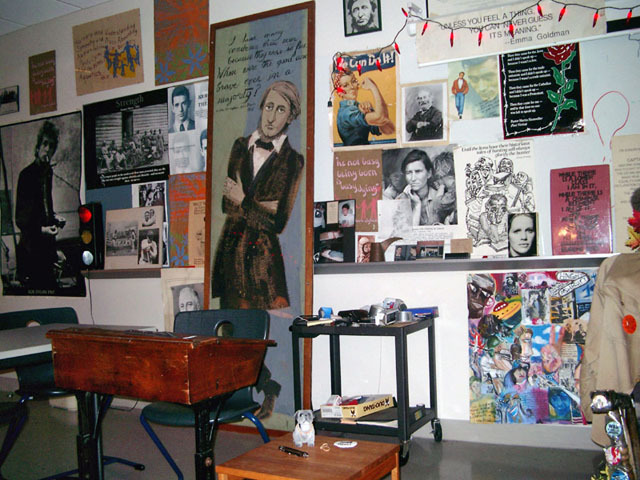 With its colorful walls, fairly dripping with history, and with its homey feeling, it provided a respite from the barren airport terminal atmosphere of many other classrooms. For many, coming into the room provided a sense of shelter from the storm. 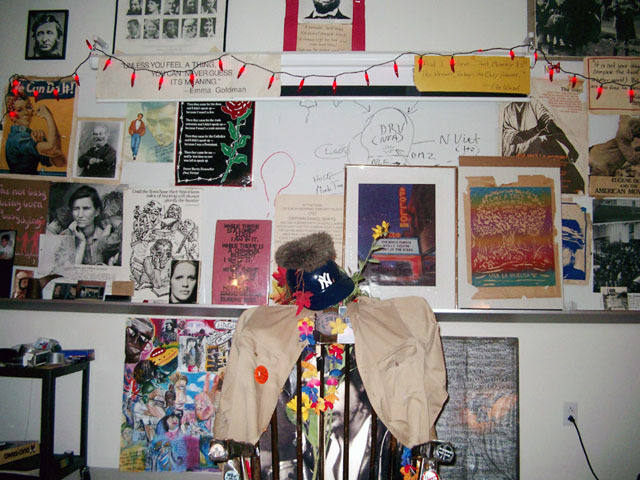 I was continuously reminded of how an environment can be mobilized to support historical study, as the room became part of my classes and courses, and inseparable from them. 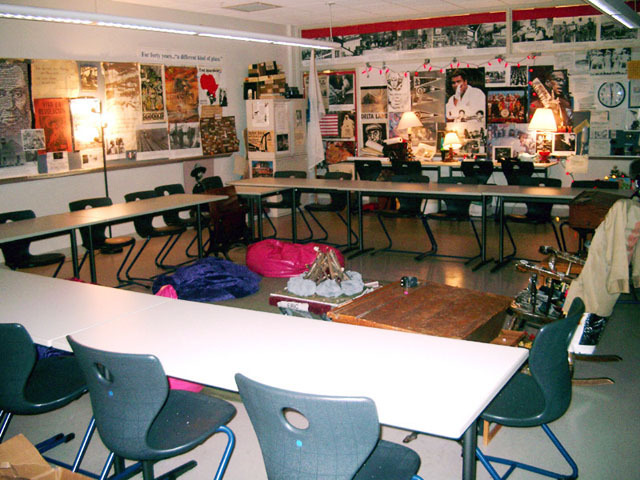 Over the the course of my career, my classrooms served as my canvass, and I wasn't a minimalist to be sure. 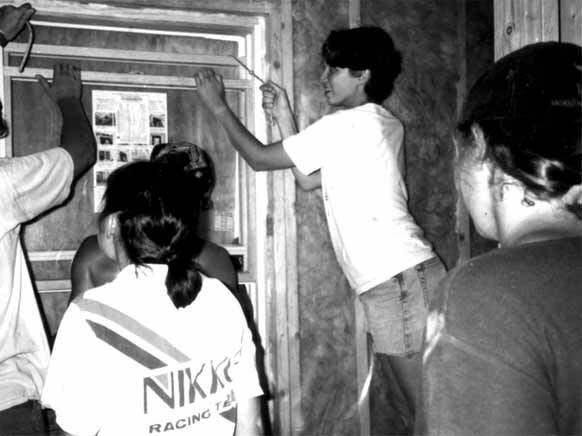 When, I had to strip my various rooms, whether because of demolition or retirement, it was an emotional task for me and the students who helped. 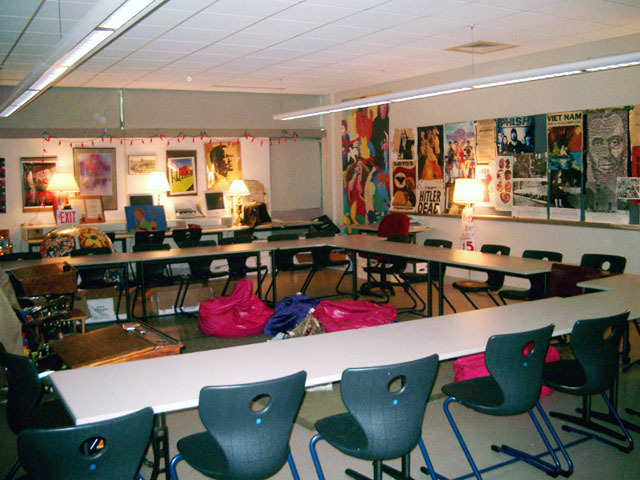 When the work was done, and a bare room was returned to the school district, a whole lot more than a few posters were gone. Whatever your taste and sensibility, share it with students. Keep it real. Be who you are. Put it out there. 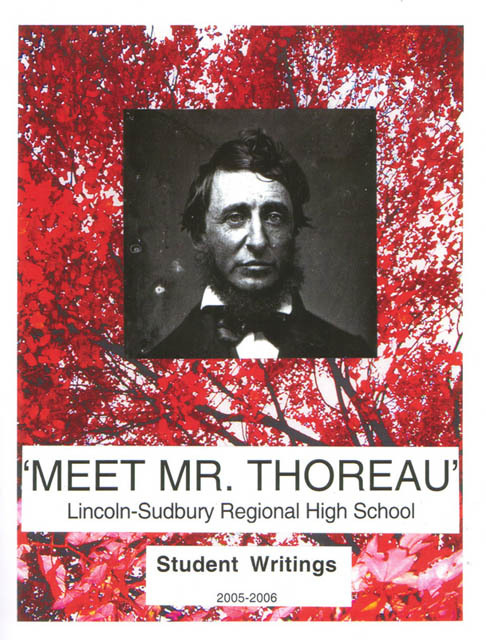 In July 2006, the students of the "Meet Mr. Thoreau" class of Lincoln-Sudbury Regional High School were invited to display their work in a summer exhibit at the Tsongas Gallery at Walden Pond. 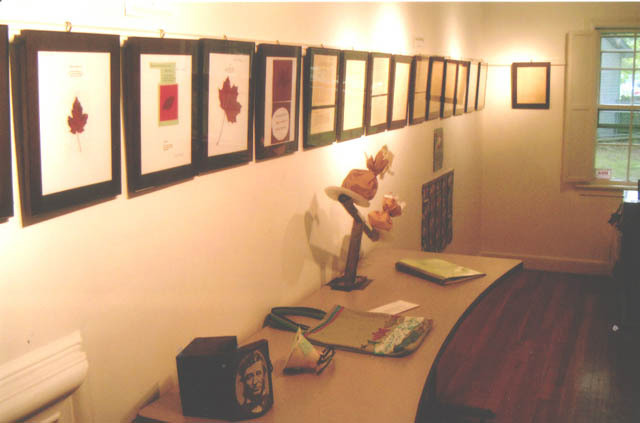 Adorning the walls were all the students' poetry, leaf haikus, journal entries, nature writing, drawings and photographs. We were fortunate to be invited, probably because of the school's proximity to the pond. 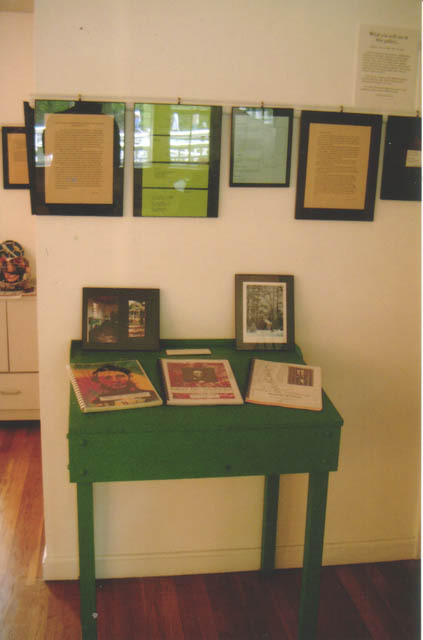 The one thing to be learned from this experience, is never to lose the opportunity to publish or exhibit student work. Homework remains just that if only the teacher. sees it. Sharing it within the school or with the world beyond tells students: "Your best work has an importance that goes beyond course requirements. It deserves to be widely-appreciated." 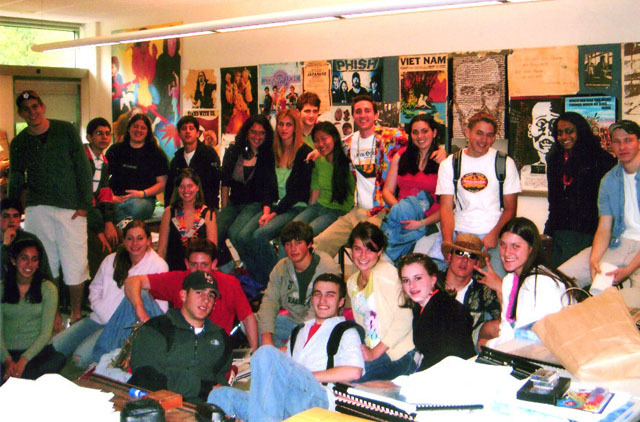 I taught my last history classes in June 2006, closing out a 33-year career. The occasion was a momentous one–well, at least for me. What would I do during these final class meetings? I pondered and pondered. I finally decided to go back to my roots. After leading the class in a few favorite songs, I read to my students from some of the poems that had first fired my historical imagination as an elementary school student at P.S. 95 in the Bronx. The poems hadn't lost a beat, and were as great as I remembered them. As baseball pitchers are fond of saying, I went out with what got me there in the first place.